Can you sketch out the architecture you have in mind? As far as I know, that's not currently supported. One of the things we suggest for VPCs with significant outbound usage is to deploy gateways within the VPC. Transit Gateway is supported - at this point you can configure this manually (and there are a few customers who have already done this on their own). We are also hard at work on an automatic deployment solution for Transit Gateway. I expect the solution will be released soon. I don't know the exact time frame, but I do know that we are at a very advanced stage of the development cycle. We already have several successful EA sites. Thanks to all RnD folks that worked hard on this. 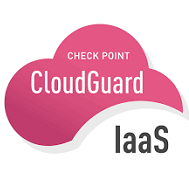 Support for CloudGuard IaaS on AWS TGW has been officially announced yesterday.